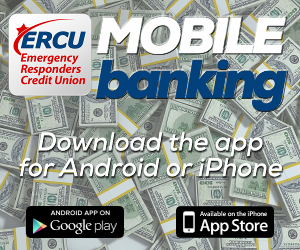 In the rapid changing technology environment, Emergency Responders Credit Union strives to provide fast and accurate service to our members while safeguarding their assets and information. We use multi-levels of security to protect member’s confidential information and are vigilant in protecting it. Your Credit Union will NEVER request personal information by email or text messaging including account numbers, passwords, personal identification information or any other confidential member information. All information within our online banking uses the Secure Socket Layer (SSL) protocol to ensure that your account information transmitted is protected. You will be required to enter your User Name and a password to access your accounts. The first time you use i-branch, our online banking service, you will be asked to enter your email address, and to provide answers to three challenge questions that will be used for security. Multi-layer Security helps protect you against identity theft and other online fraud. Once you’ve provided answers to the challenge questions, you can enroll the computer you are using. After you enroll a computer, you will be able to sign on from that computer without answering a challenge question each session. You can enroll multiple computers; we do not recommend enrolling public computers or computers you do not use on a regularly basis. When you sign on using a computer that is not enrolled, you will be asked to validate your identity by choosing the answer to one randomly selected challenge question. To send personal or account information to the Credit Union, only use the secure messaging service provided behind the i-branch login. As fraud cases are on the rise, it is also important that you take your own measures to ensure your information remains protected. Here are some tips on how to stay safe when conducting business online. Never give out any personal information including User Names, Passwords, Social Security number, or Date of Birth. Don’t respond to email, text, and phone messages that ask for personal information. Legitimate companies don’t ask for information this way. Don’t use personal information for your user names or passwords, such as birth dates or Social Security number. Use websites that protect your financial information with encryption when you shop or bank online. An encrypted site has “https” at the beginning of the web address. Look for a closed padlock on your browser window and verify that you are on the correct site. Avoid accessing your account on public computers. But, if you must, always log out of your session and close the browser. 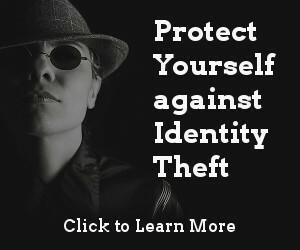 Identity theft happens when someone steals your personal information and uses it without your permission. It is a serious crime that can wreak havoc with your finances, credit history, and reputation – and it can take time, money, and patience to resolve. If you become a victim of identity theft, please call our office immediately at 336-723-0619. Card Fraud is on the rise. You can’t always prevent it from happening, but you can make it harder for criminals to get hold of your card information. For example, keep a record of your account numbers, their expiration dates, and the phone number in a secure place to report fraud for each company. Emergency Responders Credit Union is committed to providing you with the most advanced fraud protection solutions available. To protect you, we may restrict card usage in countries identified as having a high volume of fraudulent activity and for unusual or high risk transaction types. Be sure to contact us when traveling outside of your state of residence or country. If you become a victim of card fraud, please call the Credit Union immediately at 336-723-0619. 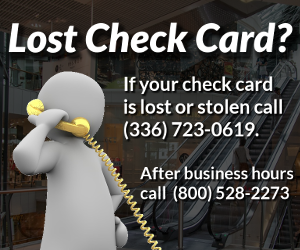 During a transaction, keep your eye on your card. Make sure you get it back before you leave. Regulation E is a consumer protection law designed to protect consumer accounts established primarily for personal, family or household purposes making electronic fund transfers. Excluded from coverage are non-consumer accounts, such as Trust, Corporations, Partnership, etc. The term “electronic fund transfer” (EFT) generally refers to a transaction initiated through an electronic terminal, telephone, computer, or magnetic tape that instructs, or authorizes a financial institution either to credit or debit a consumer’s asset account. Non-consumer accounts are not protected by Regulation E.
A non-consumer member using online banking and/or bill pay is not protected under Regulation E. Because the member is not protected by Regulation E, precautions should be made by the member to evaluate and review the controls in place to ensure that they are correspond with the risk level that the member is willing to accept. The member should also perform a risk assessment and evaluate the controls they have in place periodically. The risk assessment should be used to determine the risk level associated with any internet activities the non-consumer member performs and any controls in place to mitigate these risks. Notify us at once if you believe your password has been lost or stolen, or an unauthorized person has obtained access to your accounts without your permission. Telephoning is the best way of keeping your possible losses down. If you believe someone has used your Password or accessed your accounts through Online Banking without your authorization, please contact us immediately by calling 336-723-0619. To confirm changes submitted on your online banking profile. If you receive an unsolicited contact from a Emergency Responders Credit Union staff member for any reason not stated above, your identity will be confirmed through a series of security questions and you will always have the option of hanging up and calling Emergency Responders Credit Union to confirm that validity of our request. Remember, we will NEVER ask for your log in security credentials.